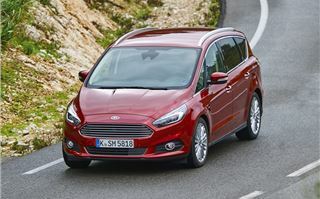 If one car has proved that MPVs can be good to drive - it's the Ford S-MAX. What Ford describes as the 'best of both worlds' - those worlds presumably being ones occupied by practicality and keen handling - the S-MAX is more than just a Ford Galaxy with a snazzy wig and make-up on. It's quite a different proposition altogether. So much so that six out of 10 S-MAX owners have gone on to buy another. So the all-new S-MAX has a tough act to follow. 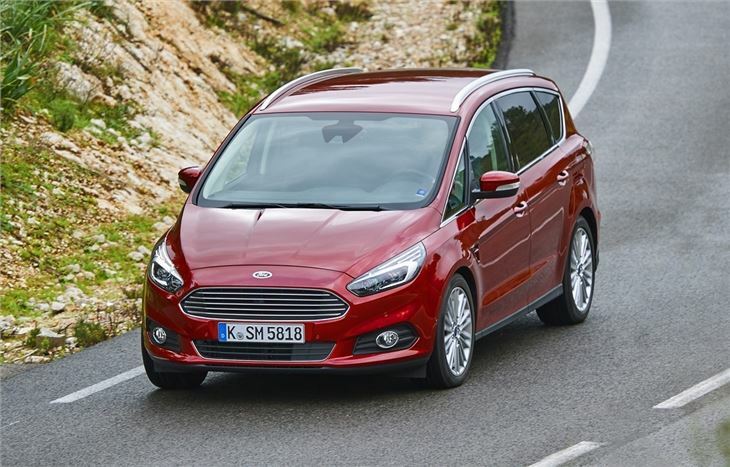 Ford is promising improved refinement and more technology on board, but is there a danger of that coming at the expense of the sharp driving dynamics that have found favour with the many buyers wanting a family motor that still drives well on the twisty stuff? Well when it comes to the styling Ford has gone down the slightly plain looking path. The new S-MAX looks a lot like the facelifted C-MAX. Which in turn looks like a Ford Focus. Which itself copies the Fiesta. When will it end. We can't help but feel that it's lost some of the impact of the original, especially at the front end. But the basic profile remains very similar with a sloping roofline helping to avoid the unwanted boxy look of traditional people carriers. Inside is where you'll notice big changes. The interior follows on - not unsurprisingly - from the new Mondeo with a similar central stack and instrument cluster. The jury is still out on how successful this is. It loses lots of nice details of the old S-MAX - such as the circular air vents and gloss black finish - and while the quality is very impressive with high quality soft touch plastics, it has a rather American feel to it. There are plenty of positives though. The driving position is slightly lower, so you don't feel like you're driving an MPV, and there's lots of adjustment in the steering column and seat. As a result it's very much like being in a Mondeo. The 3D effect instrument cluster works well and the central touchscreen SYNC system is a vast improvement on what Ford had before. There are also more stowage areas. Being a family car it's as practical as you'd expect. All models come with seven seats and the five in the back can be folded down - all at once if you so desire - with just the touch of a button. 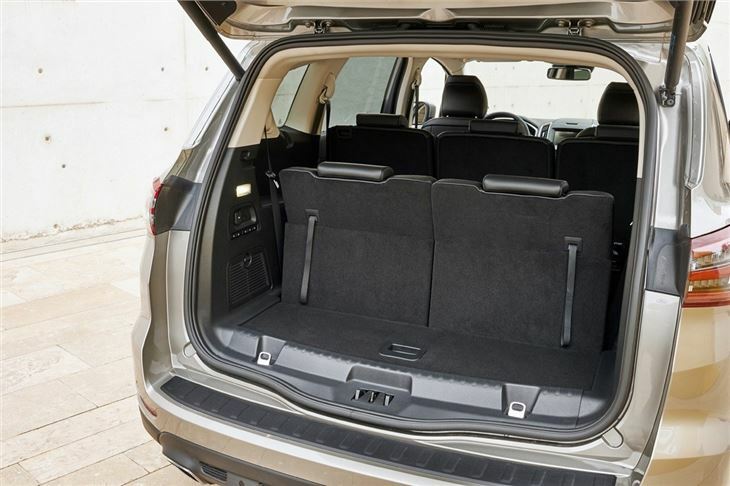 One neat feature is an electric tailgate which can be opened by kicking your foot under the rear bumper - very handy if you have your hands full of shopping. 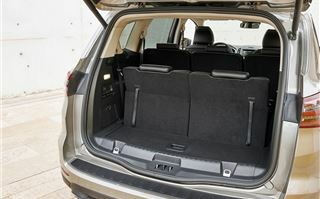 The 'stadium' style seating means kids in the back can still see forward, essential to help prevent car sickness, plus the seats have been redesigned to be more comfortable. In fact comfort has improved throughout the S-MAX. The seats are thinner which means more legroom, plus the second row slides back and each seat reclines individually as before. Those in the back get their own climate control settings with air vents in the roof, plus there's an advanced filtration system that blocks 99 per cent of pollen and all nitrogen dioxide - the nasty stuff that triggers asthma. What's also impressive is the lack of noise. 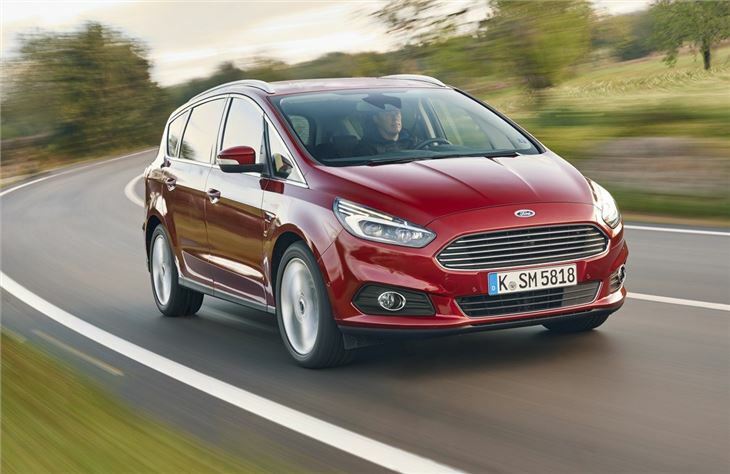 Ford has added extra sound insulation and improved things like the door seals, all of which reduces road and wind noise on the move. At motorway speeds it makes for a luxury car-like experience of relaxed calm. You can happily cruise along, covering big miles safe in that knowledge that you can hear your children fighting in the back that bit clearer. 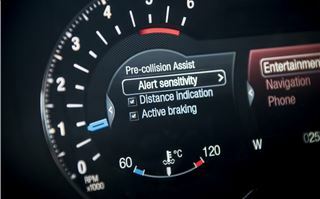 The lack of noise is helped by Ford's refined 2.0 TDCi engine. 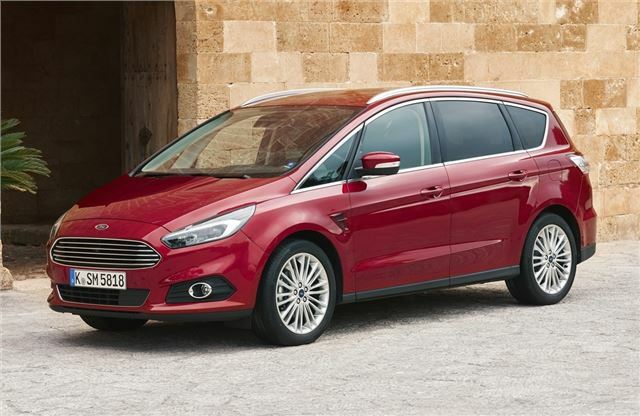 It's available in various outputs in the S-MAX starting with a 120PS version in the Zetec model and going up to a very quick 210PS bi-turbo version that comes with the PowerShift automatic box as standard. In between these sits two more versions - one with 150PS and a 180PS version. It's these that make the most sense blending strong in-gear pulling power with decent economy. Both come with a positive shifting six-speed manual as standard or the PowerShift automatic as a £1550 extra. 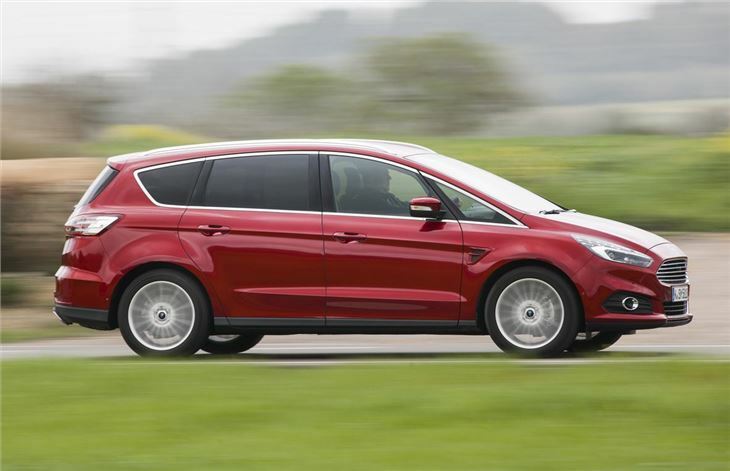 Interestingly there's also the option of all-wheel drive on both, making the S-MAX even better when it comes to traction. Fitted with cold-weather tyres this would be ideal in the winter. The 2.0 TDCi is the perfect engine for the S-MAX and we'd recommend the 150PS as the best of the bunch when it comes to value. It has plenty of torque with 350Nm and returns the same 56.5mpg as the other versions when fitted with the six-speed manual. It's quiet from inside the car and feels responsive when you need it, while at motorway speeds it's barely breaking a sweat. There have been some significant changes under the skin with a new electric power steering set-up and rear suspension, the latter of which is lighter than before. The ride quality is improved over the old car and while it's not quite as sharp as the previous S-MAX, this new car is still good to drive and belies its size, feeling more like an executive saloon than a people carrier. The steering is responsive and there's very little body roll, even when you tackle tight corners with gusto. 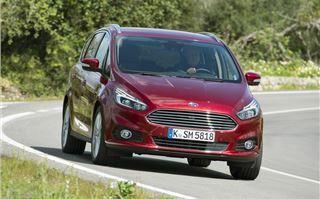 Ford has managed to improve the S-MAX in all the key areas without losing any of the strengths that made the original so popular. 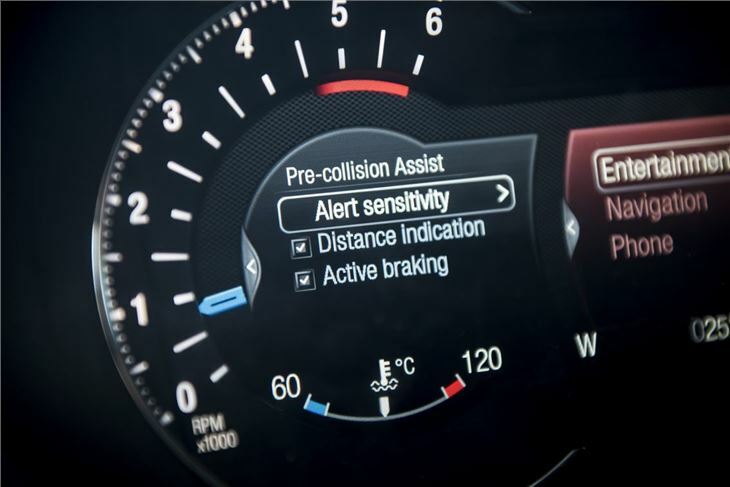 With prices starting at around £25,000 for the cheapest diesel model, it's not bad value, especially when you look at the standard equipment on the Zetec trim which includes front and rear parking sensors, the touchscreen SYNC 2 system plus DAB. The S-MAX it seems, looks set to continue its success. The new Ford S-MAX goes on sale in August.